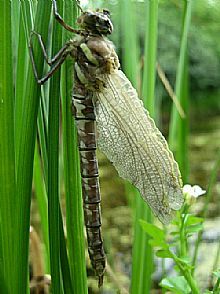 I am a skilled trainer and have been running dragonfly and damselfly identification training courses since 2006. 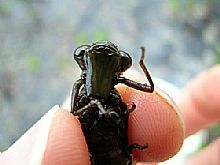 I have run courses for children, adults and ecological consultants and I have received consistently excellent feedback on my courses. I can tailor courses to your needs and can work all over the UK. RSPB training course at Loch Lomond NNR May 2015. TCV training course in Stirling and Flanders Moss. May 2013. TCV training course in Stirling and Flanders Moss. May 2012. Running training courses at the Shapwick Heath NNR. 2011, 2012, 2014 and 2015. Running a training course in Edinburgh for the Wildlife Information Centre, January 2011. Running a training course at Laide Community Woodland, Wester Ross. 2009 and 2010. Running a training course for volunteers at Loch Leven NNR, 2009 and 2010. Running training courses for IEEM in Scotland and England. 2008-13. 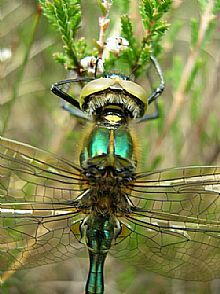 Running a bespoke 2 day Odonata Course for Heritage Environmental Ltd Consultants. 2008. 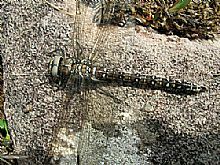 Leading British Dragonfly Society Field Trips in the Highlands since 2006. 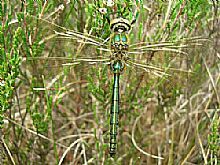 Running 6 Odonata identification courses in the Cairngorms National Park in 2006 and 2007. Running Scotland’s first Odonata identification course at Kindrogan Field Centre. 2006 to 2009. 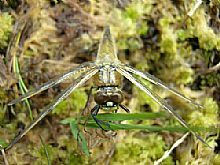 Leading British Dragonfly Society Field Trips in Central Scotland from 2003 to 2005. Feedback from course attendees . . .
"I think your enthusiasm for your subject really shone through and the course was very well presented and very interesting. Thanks also for the biscuits!" "I have been meaning to thank you for the excellent talk and workshop you gave us back in July." "Thanks Jonathan for your expert advice." "Many thanks for the fascinating and entertaining talk last night." "I'd just like to say thanks very much for a very interesting day - you are clearly passionate about this subject and I learnt loads." "I thought the training day was excellent, so much that I might come again next year!" Gallery: Click to view a larger image in a pop-up window.